Nurturing young hearts and minds. 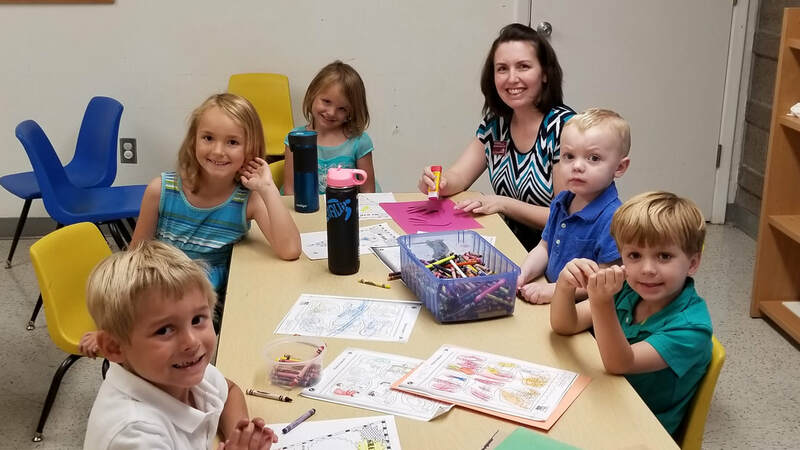 The NSUMC Children’s Ministry Team is comprised of laity and staff who oversee, create and implement children’s ministries. Together we learn, grow and flourish in the grace of the Lord. 10:00 SERVICE - Full Sunday School (with multi-aged classrooms) is offered during this service. All children enter the Sanctuary with their parents to participate in our Sunday worship service through the Children’s Moments (approximately 10 minutes into the service), after which they go to their respective classrooms with their teachers. Your child does not have to be registered prior to their first attendance at Sunday School. They may join us at anytime during the year and will be given a registration packet on their first day of class.